High tea in back in vogue in Sydney. Hotels, cafes and speciality high tea destinations are putting together packages like there's no tomorrow. I have enjoyed some amazing high tea treats in Sydney, while on other occasions the experience was somewhat mediocre. This is the question of focus for many Sydney food lovers right now. 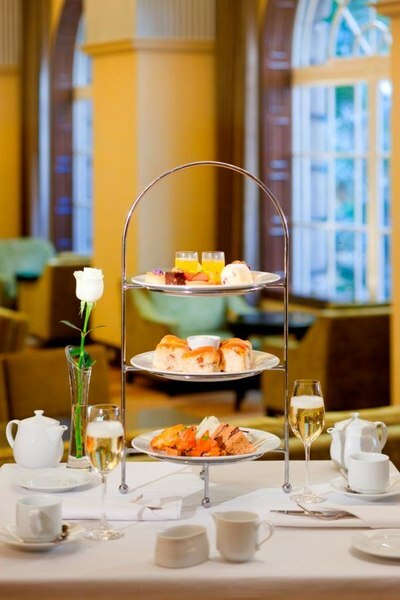 Where is the best high tea in Sydney? Why? For a deluxe setting the high tea at the top of the QVB in the city is gorgeous - I am not really sure whether the food is always top quality but have been told it's good by others too, so willing to keep it in mind. 1. Bistro Fax Restaurant & Bar, Radisson Blu Hotel. 4. One on 1 Bar & Brasserie, Radisson Hotel & Suites Sydney. High tea at Lachlan's Restaurant, Old Governor's place, Parramatta park is awesome! Queen Victoria Building Tea Rooms for me but I would also like to try the one at the Gunners Barracks, which is run by the same group.